This is the idea behind Lufa Farms, a Canadian based company, started by Mohamed Hage, as he explained in a TEDx Talk in 2012. 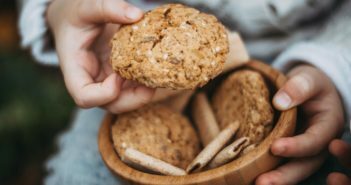 The company aims to produce food in a sustainable, responsible way, providing quality produce, straight to the consumer. How? By building rooftop greenhouses in city centres. Industrial agriculture in its present state places the emphasis on transportability when choosing produce. The species that are the toughest are selected over those with the better taste and nutritional value, because the food has to be transported over hundreds of miles, and packaged and sold often multiple times before it reaches our plates. These farms also consume a lot of resources in their production methods, and are not very environmentally friendly. 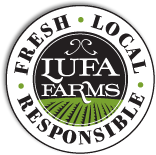 Lufa Farms was founded in 2009, with the help of Lauren Rathmell, Kurt Lynn and Yahya Badran, with the aim to select food for its taste and nutrition, rather than transportability, and cut out the middle men by taking the food straight to customers. Techniques and software had to be developed to make urban agriculture a reality, as Hage’s goal is to make sure this is a form of sustainable farming. Rooftops mean they avoid using new land, and can use heating energy from the building below, as well as solar power. Cities have higher carbon dioxide levels for plants, and the greenhouse harvests rainwater, and avoids pesticides by using bio-controls in the form of insects. Construction began in 2010 on a 32,000 square foot rooftop in Montreal. On the 28th February 2011, their first harvest took place, marking the greenhouse’s official opening. Since then, Lufa Farms have constructed, and opened, a second 43,000 square foot rooftop greenhouse in Laval, in 2013. They also opened their online marketplace so people can order their vegetable baskets online, then pick them up from designated drop points. Food is harvested and delivered on the same day, with the two sites combined producing almost 200 metric tonnes of food per year. The drop off points have also become social places, with customers exchanging contact information and recipe ideas, while the greenhouses play host to hundreds of visitors, coming to learn how they work. The company has also secured investments to continue building more greenhouses, with hopes to expand to Ontario and the USA. Forty years ago, there was a farm on a piece of land in Montreal, which was displaced by an industrial building. Today, the building still stands, but a hydroponic urban greenhouse now stands on its roof. The land is once again, a farm.